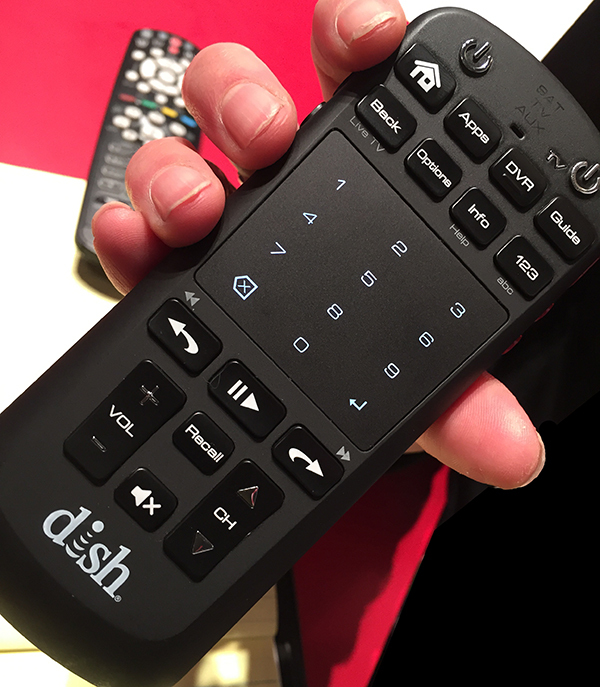 DISH Network used the 2015 CES conference both as a review of recent announcements and as a launch pad for the new; in three areas: new content offerings, new equipment, and a new user experience. Some of it was evolutionary, and some of it pace-setting. Here’s a recap of my tour of DISH at CES. First there were a number of content announcements. Because it was announced just before the pending holiday break, many had missed DISH’s December 17 announcement that Netflix has been integrated into the DISH Hopper home media gateway as a TV app; one of the first US pay TV operators to do so. DISH also announced a Vevo music video TV app. DISH’s biggest CES news was its new Sling TV service, which will be available later this year. Sling TV is a stand-alone online TV service designed expressly for Millennials, the 18-35 audience that the pay TV industry will increasingly be depending upon to sustain the business as today’s pay TV households age and gradually disengage from premium programming. No traditional satellite TV subscription required. Rather than being cord-cutters, Millennials tend to be “cord-nevers” who feel that they can get all the video programming they need from other sources without subscribing to pay TV in the first place. Others of that demographic ‘hitch-hike’ on their family’s pay TV plan, despite having households of their own. So to characterize Millennials as “cord-cutters” isn’t fully accurate. DISH hopes to attract this demographic where others have failed. DISH is carrying forward the traditional multi-tiered pay TV content model into this online offering, with a bit of an a-la-carte twist. The $20/month base offering consists of programming from The Walt Disney Company (ESPN and ABC), Turner (CNN, Cartoon Network and TBS) and Scripps Networks Interactive (The Food Channel, HGTV, and the Travel Channel). Announced add-on packs include a Kids Extra (Disney Junior, Disney XD, Boomerang, Baby TV and Duck TV) and a News & Info Extra (HLN, Cooking Channel, DIY and Bloomberg), for $5/month each. Missing are DVR functionality and regionally-tailored live sports, local programming, and linear programming from TV networks other than ABC and ESPN. It isn’t perfect but it’s a promising start that is gated by content rights, not by technology. This offering was just a matter of time in coming. Last year, DISH began to offer an international TV programming service online, called DISH World. DISH officials at CES confirmed that DISH World was essentially the Beta for Sling TV. DISH acquired online video technology pioneer Move Networks several years ago, and uses the Move software in both services. DISH announced a 4K version of the Joey client set-top box, which later received an Editors Choice award from Reviewed.com, a USA Today division that was an official media partner with the Consumer Electronics Association, the host of CES. In picture-in-picture mode, the 4K Joey delivers two simultaneous HD-quality pictures. 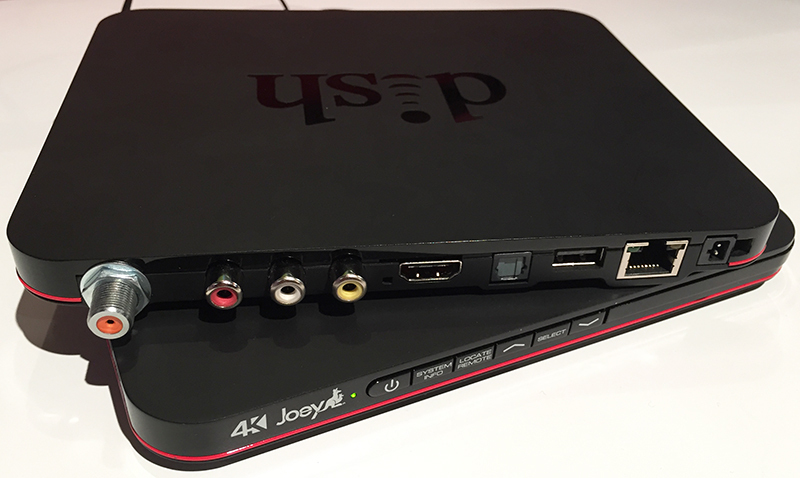 For DISH customers that don’t have a 4K TV, the existing Joey remains available. DISH was also demonstrating a new TV user interface for the Hopper, which includes a new Home screen, a Mini-guide, Favorites, and Recommendations (using TiVo’s Digitalsmiths platform) . Users will be able to see what’s ‘On Now,’ ‘On Later,’ and recommended content. Search will be across all TV content, plus VEVO. DISH is also adding a Netflix-like “choose uer profile” interface, first to the DISH Anywhere (available as a mobile app or via browser), and later, to the Hopper itself. Another part of the new user experience is a new remote control for the Hopper with Sling home media gateway. In addition to having buttons, there’s a track pad and speech recognition. Touch and speech have become part of the autonomic nervous system of smartphone users, and DISH acknowledges that reality. The speech recognition is from Rovi’s Veveo subsidiary, with a back-end from Nuance. DISH will also be supporting high-quality whole-home music via the Hopper and the Joey, and have access to content from IHeartRadio, TuneIn and Pandora, as well as their own music libraries via their home networks. DISH will be pushing the enabling software to the Hopper “sometime this summer.” An integration with Sonos wireless home music systems is also coming later this year. I’m just hoping that the new UI resolves the sequencing of your DVR recordings, shown here via the Hopper’s existing DVR library user interface. 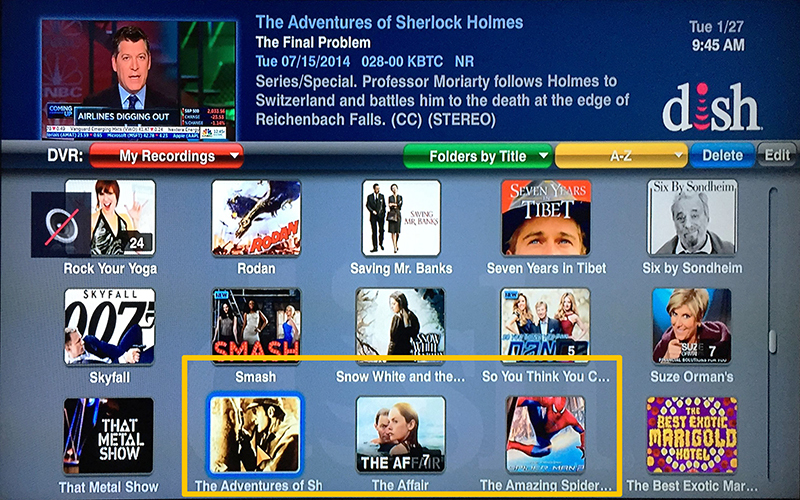 If you want to watch your recording of The Adventures of Sherlock Holmes, you have to scroll down to the “T”s for “The.” Not the “A”s for “Adventures,” as I highlighted with the yellow box. It’s tedious to scroll all the way down to the “Ts” to watch something that starts with an “A.” Why not sequence by the first significant word in the title? In the middle of my booth tour, an impatient late-middle-aged ‘gentleman’ inserted himself between us, blurting out “Fox News! Fox News!,” then walking away mumbling about politics; apparently expecting the DISH executive to resolve the DISH-Fox carriage dispute that began on December 20, right then and there. It would take another week for that to happen. If I had any single take-away from all of this, it’s that DISH has a clear view toward the future. The company realizes that it can’t bend new consumers to the old ways of pay TV, and instead, is taking steps to meet these consumers more on their own terms. They also realize that today’s mobile consumers aren’t going to be tied to any single access network, given the availability of LTE and wireline broadband (to say nothing of DISH’s multiple wireless spectrum acquisitions in recent years, and DISH said nothing). Secondarily, Sling TV reinforces my existing belief that “online TV” will probably look a lot like “regular pay TV” as it matures. The content sources may be different – and multiple – but the entire bill might come to resemble what today’s consumers pay for DISH Network, Comcast or AT&T U-verse. Start with the base $20 for Sling TV, and $5/each for the add-on packs. Then add Netflix, Hulu, direct-to-consumer services from HBO and CBS, plus live TV (however that may happen, given what happened with Aereo), and it all adds up from the consumer perspective. We seem to be headed toward a world that embraces both bundling and a-la-carte. What’s wrong with this picture is that consumers have to deal with a multitude of user experiences, instead of just one. Someone will eventually succeed in creating single user experience across all pay and online sources. 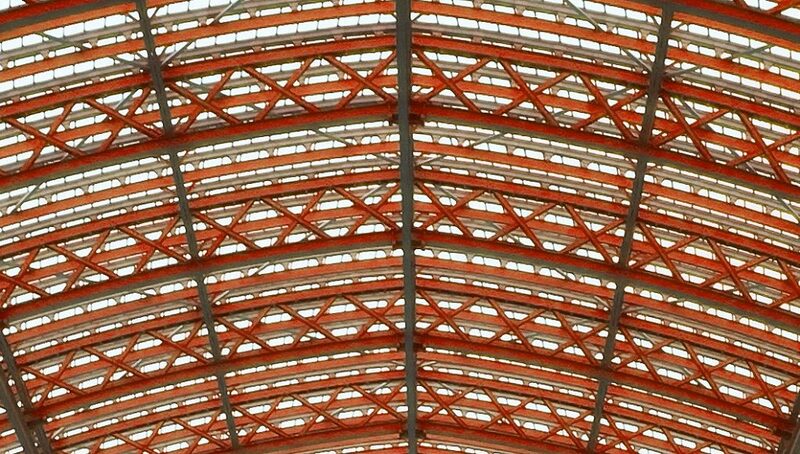 It has to be someone that’s separate from the vested interests of each individual content and service provider. There are a number of third party TV Remote Control apps, but none of them quite nail it. It will be interesting to see how well DISH fares against emerging competition from Sony, HBO, CBS, DirecTV (especially if the AT&T acquisition goes through), and Verizon, which shrugged off DISH’s Sling TV announcement, despite that it shut down Redbox Instant last year. DISH has taken the old adage of retail to heart: location, location, location, while taking away any excuses not to take services from them. I think DISH is more pre-disposed to a world view of ‘virtual subscribers’ because satellite operators don’t have a direct physical connection (over a wire) with them. At the time of announcement this week, the only two major devices not supported by Sling TV were Apple TV and the Chromecast. If that’s not enough, consumers can opt for the full pay TV experience and the Hopper’s Slingbox technology, to can get the content that online video offerings lack. Maybe that’s DISH’s real strategy: to use Sling TV as the teaser to get Millennials on to the full Hopper-based pay TV offering. I also look forward to trying out the new user experience and remote control when they become available. Next articleGoogle Glass experiment ends. What did it really mean?